Born on July 25th 1977 at Montilla, (Córdoba), Spain. Japan Agency for Marine-Earth Science and Technology (JAMSTEC). Natsushima-cho 2-15, Yokosuka 237-0061, Japan. Stable and radiogenic isotopic and inorganic geochemistry. Climatic change and human cultural evolution. Apr. 2013-Apr.2014 Post Graduate Researcher. Department of Earth and Planetary Sciences, Graduate School of Environmental Studies, Nagoya University, D2-2 (510), Furo-cho, Chikusa-ku, Nagoya, 464-8601, Japan. Dec. 2009- Dec. 2012 Post Graduate Researcher. Institute Andaluz de Ciencias de la Tierra (Spanish Research Council- Univ. of Granada). Address: Av. de las Palmeras, 4. 18100 Armilla (Granada) Spain. Nov. 2007-Nov. 2009 Post Graduate Researcher. Japanese Society for Promotion of Science (JSPS). Instute of Biogeosciences (JAMSTEC). Address: 2-15 Natsushima-cho. Yokosuka 237-0061 (Japan). Jul. 2006 - Aug. 2007 Science Research Assitant. Department of Mineralogy and Cristalography, Univ. of Granada. Faculty of Sciences. Address: Avda. Fuentenueva, s/n, Granada, 18002, Spain. Jun. 2003- Jun. 2005 Teaching Assistant. Department of Mineralogy and Cristalography, Univ. of Granada. Faculty of Sciences. Jan. 2001 – Dec. 2006 Museum Director. Historical and Archeological Museum of Montilla. Address: Beato Miguel Monlina num. 2 Montilla (Córdoba), Spain. Mar. 2001 – Sept. 2001 Engineering Geologist. Company: Aljibe Consultores, S.L. Granada, Spain. Sept. 1999 – Jun. 2000 Research Assistant. Department of Geodinamics, Univ. of Granada. Faculty of Sciences. 1- Martinez-Ruiz, F., Paytan, A., Kastner, M., González-Donoso, J. M., Linares, D., Bernasconi S. M., Jimenez-Espejo, F. J. 2003. A Comparative Study of the Geochemical and Mineralogical characteristics of the S1 Sapropel in the Western and Eastern Mediterranean. Paleogeography, Paleoclimatology, Paleoecology, 190, 23-27 (2003). 2- Finlayson, C., Giles Pacheco, F., Rodríguez-Vidal, J., Fa, D.A., Gutierrez López, J.M., Santiago Pérez, A., Finlayson, G., Allue, E., Baena Preysler, J., Cáceres, I., Carrión, J.S., Fernández Jalvo, Y., Gleed-Owen, C.P., Jimenez-Espejo, F.J., et al. Late survival of Neanderthals at the southernmost extreme of Europe.Nature, 443, 850-853 (2006). 3- Jimenez-Espejo, F.J., Martinez-Ruiz, F., Sakamoto, T., Iijima, K., Gallego-Torres, D., Harada, N. Paleoenvironmental changes in the western Mediterranean since the last glacial maximum: High resolution multiproxy record from the Algero–Balearic basin. Palaeogeography, Palaeoclimatology, Palaeoecology, 246, 292-306 (2007). Pliocene –Holocene evolution of depositional conditions in the Eastern Mediterranean: role of anoxia vs. productivity at the time of sapropel deposition. Palaeogeography, Palaeoclimatology, Palaeoecology,246, 424-439 (2007). 5- Jimenez-Espejo, F.J., Martínez-Ruiz,F., Finlayson, C., Paytan, A., Sakamoto, T., Ortega-Huertas, M., Finlayson,G., Iijima, K., Gallego-Torres, D., Fa, D., Climate forcing and Neanderthal extinction in Southern Iberia: insights from a multiproxy marine record. Quaternary Science Reviews, 26, 836-852 (2007). 6- Finlayson, C., Fa, D., Jiménez-Espejo, F.J., Carrión J.S., Finlayson, G., Giles Pacheco, F., Rodríguez Vidal, J., Stringer, C. & Martínez Ruiz, F. Gorham's Cave, Gibraltar – The persistence of a Neanderthal population. Quaternary International, 181, 64-71 (2008). 7- Rogerson, M., Cacho, I., Jiménez-Espejo, F. J., Reguera, I., Sierro, F.J., Martinez-Ruiz, F., Frigola, J., and Canals, M. A Dynamic Explanation For The Origin Of The Western Mediterranean Organic Rich Layers, Geochemistry Geophysics Geosystems, 9, Q07U01, (2008). 8- Jiménez-Espejo, F.J., Martinez-Ruiz, F., Rogerson, M., Gonzales-Donoso, J.M., Romero, O.E., Linares, D., Sakamoto, T., Gallego-Torres, D., Rueda Ruiz, J.L., Ortega-Huertas, M., Perez-Claros, J.A. Detrital input, productivity fluctuations, and wáter mass circulation in the westernmost Mediterranean Sea since the Last Glacial Maximum. Geochemistry, Geophysics, Geosystems, 9, Q11U02, (2008). 9- Martín-Puertas, C., Jiménez-Espejo, F.J., Martínez-Ruiz, F., Nieto-Moreno, V., Rodrigo, M., Mata, M. P., Valero-Garcés, B. L. Late Holocene climate variability in the southwestern Mediterranean region: an integrated marine and terrestrial geochemical approach. Climate of the Past, 6, 807–816, (2010). 10- Gallego Torres, D., Martínez Ruiz, F., Meyers, P.A., Jiménez Espejo, F.J., Ortega Huertas, M. Productivity patterns and N- fixation associated with Pliocene-Holocene sapropels: paleoceanographic and paleoecological significance. Biogeosciences, 8, 415-431 (2011). 11- Nieto-Moreno, V., Martínez-Ruiz, F., Giralt, S., Jiménez-Espejo, F.J., Gallego-Torres, D., Rodrigo-Gámiz, M., García-Orellana, J., Ortega-Huertas, M., and de Lange, G. J. Tracking climate variability in the western Mediterranean during the Late Holocene: a multiproxy approach, Climate of the Past, 7, 635-675, doi:10.5194/cpd-7-635-2011 (2011). 12- Rodrigo-Gámiz, M., Martínez-Ruiz, F., Jiménez-Espejo, F.J., Gallego-Torres, D., Nieto-Moreno, V., Romero, O., Ariztegui, D. Impact of climate variability in the western Mediterranean during the last 20,000 years: oceanic and atmospheric responses. Quaternary Science Reviews (2011). doi:10.1016/j.quascirev.2011.05.011. 13- Martin Puertas, C., Valero-Garcés, B., Mata, P., Moreno, A., Martinez-Ruiz, F., Jiménez-Espejo, F.J. Geochemical processes in a Mediterranean Lake: a high-resolution study of the last 4,000 years in Zoñar Lake, southern Spain. Journal of Paleolimnology, doi: 10.1007/s10933-009-9373-0 (2011). 14- Cortes-Sanchez, M., Morales-Muniz, A., Simon-Vallejo, M.D., Lozano-Francisco, M.C., Vera-Pelaez, J.L., Finlayson, C., Rodriguez-Vidal, J., Delgado-Huertas, A., Jimenez-Espejo, F.J., Martinez-Ruiz, F., Martinez-Aguirre, M.A., Pascual-Granged, A.J., Bergada-Zapata, M.M., Gibaja-Bao, F.J., Riquelme-Cantal, J.A., Lopez-Saez, J.A., Rodrigo-Gamiz, M., Sakai, S., Sugisaki, S., Finlayson, G., Fa, D.A., Bicho, N.F. Earliest Known Use of Marine Resources by Neanderthals. Plos One, 6, e24026 doi:10.1371/journal.pone.0024026 (2011). 15- M. Cortés Sánchez, F.J. Jiménez Espejo, M.D. Simón Vallejo, J.F. Gibaja Bao, A. Faustino Carvalho, F. Martinez-Ruiz, M. Rodrigo Gamiz, J.A. Flores,A. Paytan, J.A. López Sáez, L. Peña-Chocarro, J.S. Carrión, A. Morales Muñiz,E. Roselló Izquierdo,J.A. Riquelme Cantal, R.M. Dean, E. Salgueiro,Rafael M. Martínez Sánchez, J.J. De la Rubia de Gracia, M.C. Lozano Francisco, J.L. Vera Peláez, N.F. Bicho. The Mesolithic-Neolithic transition in southern Iberia. Quaternary Research (2012). 16- García Alix, A; Jiménez Moreno, G; Scott Anderson, R; Jiménez Espejo, FJ and Delgado Huertas, A. Holocene environmental change in southern Spain deduced from the isotopic record of a high-elevation wetland in Sierra Nevada. Journal of Paleolimnology, DOI: 10.1007/s10933-012-9625-2 (2012). 17- Moreno, A; Pérez, A; Frigola, J; Nieto Moreno, V; Rodrigo Gámiz, M; Martrat, B; González Sampériz, P; Morellón, M; Martín Puertas, C; Pablo Corella, J; Belmonte, A; Sancho, C; Cacho, I; Herrera, G; Canals, M; Grimalt, JO; Jiménez Espejo, F; Martínez Ruiz, F; Vargas Vilarrúbia, T and Valero Garcés, BL. The Medieval climate anomaly in the Iberian Peninsula reconstructed from marine and lake records. Quaternary Science Reviews, 43, 16-32 (2012). 18- Pross, J; Contreras, L; Bijl, PK; Greenwood, DR; Bohaty, SM; Schouten, S; Bendle, JA; Röhl, U; Tauxe, L; Raine, JI; Huck, CE; Van De Flierdt, T; Jamieson, SSR; Stickley, CE; Van De Schootbrugge, B; Escutia, C; Brinkhuis H; Klaus, A; Fehr, A; Williams, T; Carr, SA; Dunbar, RB; Gonzàlez, JJ; Hayden, TG; Iwai, M; Jimenez-Espejo, FJ; Katsuki, K; Soo Kong, G; Mckay, RM; Nakai, M; Olney, MP; Passchier, S; Pekar, SF; Riesselman, CR; Sakai, T; Shrivastava, PK; Sugisaki, S; Tuo, S; Welsh, K and Yamane, M. Persistent near-tropical warmth on the Antartic continent during the early Eocene epoch. Nature, 488, 73-77 (2012). 19- Taxue, L; Stickley, CE; Sugisaki, S; Bijl, PK; Bohaty, SM; Brinkhuis, H; Escutia, C; Flores, JA; Houben, AJP; Iwai, M; Jiménez-Espejo, F; McKay, R; Passchier, S; Pross, J; Riesselman, CR; Rhol, U; Sangiorgi, F; Welsh, K; Klaus, A; Fehr, A; Bendle, JAP; Dunbar, R; Gonzlez, J; Hayden, T; Katsuki, K; Olney, MP; Pekar, SF; Shrivastava, PK; Van De Flierdt, T; Williams, T and Yamane, M. Chronostratigraphic framework for the IODP Expedition 318 cores from the Wilkes Land Margin: Constraints for paleoceanographic reconstruction. Paleoceanography, 27, PA2214 (2012). 20- F.J. Jiménez-Espejo, J. Rodríguez-Vidal, C. Finlayson, F. Martínez-Ruiz, J.S. Carrión, A. García-Alix, A. Paytan, F. Giles Pacheco, D.A. Fa, G. Finlayson, M. Cortés-Sánchez, Marta Rodrigo Gámiz, J.M. González-Donoso, M. Dolores Linares, L.M. Cáceres, S. Fernández, K. Iijima, A. Martínez Aguirre. Environmental conditions and geomorphologic changes during the Middle–Upper Paleolithic in the southern Iberian Peninsula. Geomorphology, 180-181, 205-216 (2013). 21- A. García-Alix, F.J. Jimenez-Espejo, J.A. Lozano, G. Jiménez-Moreno , F.
Puertas, R. Scott Anderson. Anthropogenic impact and lead pollution throughout t 1 he Holocene in Southern Iberia. Science of the Total Environment. 449, 451-460 (2013). 22- S. Passchier, S. Bohaty, F.J. Jimenez-Espejo, J. Pross, U. Roehl, T. Van de Flierdt, C. Escutia, H. Brinkhuis and Exp. 318 scientists. Onset of Antarctic continental aridity and cooling across the Eocene-Oligocene transition. Geochemistry, Geophysics, Geosystems DOI: 10.1002/ggge.20106 (2013). 23- P. Stocchi, C. Escutia , A. J. P. Houben , B. L. A. Vermeersen , P.K. Bijl, H. Brinkhuis, R.M. DeConto, S. Galeotti , S. Passchier, D. Pollard, T; Carr, SA; Dunbar, RB; Gonzàlez, JJ; Hayden, TG; Iwai, M; Jimenez-Espejo, FJ; Katsuki, K; Soo Kong, G; Mckay, RM; Nakai, M; Olney, MP; Pekar, SF; Riesselman, CR; Sakai, T; Shrivastava, PK; Sugisaki, S; Tuo, S; Welsh, K and Yamane. Relative sea-level rise around East Antarctica during Oligocene glaciation. Nature Geosciences. DOI: 10.1038/NGEO1783 (2013). 24- A.J.P. Houben, P.K. Bijl, J. Pross, S.M. Bohaty, S. Passchier, C.E. Stickley, U. Röhl, S. Sugisaki, L. Tauxe, T. van de Flierdt, M. Olney, F. Sangiorgi, A. Sluijs, C. Escutia, H. Brinkhuis, S.A. Carr, R.B. Dunbar, J.A. Flores, J.J. Gonzàlez, T.G. Hayden, M. Iwai, F.J. Jimenez-Espejo, K. Katsuki, G.S. Kong, R.M. McKay, M. Nakai, S.F. Pekar, C. Riesselman, T. Sakai, P.K. Shrivastava, S. Tuo, K. Welsh, M. Yamane, (2013). Reorganization of Southern Ocean Plankton Ecosystem at the Onset of Antarctic Glaciation. Science 340, 341-344. 25- C.P. Cook, T. van de Flierdt, T. Williams, S.R. Hemming, M. Iwai, M. Kobayashi, F.J. Jimenez-Espejo, C. Escutia, J.J. González, B.-K. Khim, R.M. McKay, S. Passchier, S.M. Bohaty, C.R. Riesselman, L. Tauxe, S. Sugisaki, A. Lopez Galindo, M.O. Patterson, F. Sangiorgi, E.L. Pierce, H. Brinkhuis, and IODP Expedition 318 Scientists. Dynamic Behaviour of the East Antarctic Ice Sheet during Pliocene Warmth. Nature Geoscience. 26- M. Rodrigo Gámiz, F. Martínez Ruiz, M. Chiaradia, F.J. Jiménez-Espejo, D. Ariztegui. Radiogenic isotopes for deciphering weathering history and eolian input provenances in the western Mediterranean. (In review). 28- A. García-Alix, G. Jiménez-Moreno, F.J. Jiménez Espejo, F. García García, A. Delgado Huertas. An environmental snapshot of the Bølling interstadial in Southern Iberia. (In review). 30- F.J. Jimenez-Espejo, A. García-Alix, G. Jiménez-Moreno, M. Rodrigo-Gámiz, R. S. Anderson, F.J. Rodríguez-Tovar , F. Martínez-Ruiz, S. Giralt, A. Delgado-Huertas, E. Pardo-Igúzquiza. Saharan aeolian input and effective humidity variations over western Europe during the Holocene. (In review). 2-Martínez-Ruiz, F.; González-Donoso, J. M.; Linares, D.; Jiménez-Espejo, F. J.; Gallego-Torres, D.; Romero, O., Paytan, A. Respuesta de la productividad biológica marina al cambio climático: registro de alta resolución de la cuenca del mar de Alborán. Geotemas 6 (5) 125-128 (2004). 3- Jiménez-Espejo, F.J.; Martínez-Ruiz, F. & Gallego-Torres, D. Registro paleoceanográfico de la cuenca Balear (ODP Leg 161, Site 975): implicaciones para el análisis de la variabilidad climática durante los últimos 40.000 años. Geotemas 6 (5) 109-112 (2004). yacimientos en el término municipal de Montilla. Boletín de la Asociación Provincial de Museos Locales de Córdoba, 5, 105-113 (2004). 5- Iijima, K., D.; Jiménez-Espejo, F. J.; Sakamoto, T. Filtration method for semi-quantitative powder X-ray diffraction analysis of clay minerals in marine sediments. Japan Agency for Marine-Earth Science Technology, Frontier Research on Earth Evolution Report, 2, 1-3 (2005). 7- V. Nieto-Moreno, F. Martinez-Ruiz, F.J. Jiménez-Espejo, D. Gallego-Torres, O. Romero, M. Ortega-Huertas. Calibración y registro sedimentario reciente del Mediterráneo occidental. Macla, Revista de la Sociedad Española de Mineralogía 7, 52-53 (2007). 8- M. Rodrigo-Gámiz, F. Martínez-Ruiz, F.J. Jiménez-Espejo, V. Nieto-Moreno, D. Gallego-Torres. Calibración y registro sedimentario reciente del Mediterráneo occidental. Macla, Revista de la Sociedad Española de Mineralogía (2008). 9- F.J. Jiménez-Espejo, F. Martínez-Ruiz. Formación de la cavidad de El Pirulejo y evolución a partir de su relleno en base a indicadores geoquímicos. Antiquitas, 20, 31-39 (2008). 10- M. Cortés-Sánchez, F.J. Jiménez-Espejo, M.D. Simón Gallego, A. Lopez Saez, J.A. Riquelme Cantal, E. Fernandez Dominguez, F. Martinez-Ruiz, E. Arroyo, A. Perez-Perez, D. Turbon Borrega, L. Lopez Merino, S. Perez Diaz. La investigación sobre el Pirulejo. Una aproximación interdisciplinar. Antiquitas 20, 213-221 (2008). 11- M. Cortés-Sánchez, M.M. Bergadà Zapata, J.F. Gibaja Bao, F.J. Jiménez Espejo, M.D. Simón Vallejo, J.A. Riquelme Cantal. El Solutrense en la costa de Málaga: contexto paleoambiental y cronocultural. PYRENAE Journal of Western Mediterranean Prehistory and Antiquity. 42, 51-75 (2011). 1- A. Mazzini, F. Martinez-Ruiz, F. Rodriguez-Tovar, G. Akhamanov, A. Akhmetzhanov, E. Kozlova, V. Torlov, A. Samoilov, E. Sarantsev, A. Sadekov, E. Poluketkina, O. Barvalina, E. Bileva, V. Blinova, F.J. Jimenez-Espejo. Alboran basin Leg 3: Bottom sampling. 2- F. Martinez-Ruiz, E. Kozlova, E. Sarantsev, A. Ovsyannikov, F.J. Jiménez-Espejo, E. Bileva, D. Korost, V. Blinova, O. Romero, D., Gallego-Torres, E. Logvina, A. Shuvalov, I. Gurjev, P. Golinchik. Southeasthern Iberian margins: the Alboran basin and the Palomares and Cartagena margins (Leg 2): Bottom sampling. 3- F.J. Jimenez-Espejo, D. Korost, D. Nadezhkin, E. Kozlova, I. Yurchenko, V.Nekhorosheva, M. Ponjaev, B. Lukmanov, M. Rodrigo, C. Lopez Rodriguez, V. Nieto, G. Gennari, I. Rodriguez Germande, F. Meeuws, L. Terhzaz, D. Gallego Torres. Southeastern Iberian and North Africa margins: the westernmost Alboran basin (Leg 1): Bottom sampling. 4- Brinkhuis, H., Dotti, C.E., Klaus, A., Fehr, A., Williams, T., Bendle, J., Bijl, P.K., Bohaty , S.M., Carr, S.A., Dunbar, R.B., Gonzales, J.J., Hayden, T.G., Iwai, M., Jimenez-Espejo, F.J., Katsuki, K., Kong, G.S., McKay, R.M., Nakai, Matsumi, Olney, N.P., Passchier, S., Pekar, S.F., Pross, J., Riesselman, C., Roehl, U., Sakai, T., Shrivastava, P.K., Stickley, C.E., Sugisaki, S., Tauxe, L., Tuo, S., van de Flierdt, T., Welsh, K. and Yamane, M. (Expedition 318 Scientists). Integrated ocean drilling program expedition 318 preliminary report wilkes land glacial history cenozoic east antarctic ice sheet evolution from wilkes land margin sediments. Integrated Ocean Drilling Program Preliminary Report, 318. doi:10.2204/iodp.pr.318.2010 (2010). 5- Carrión JS, Fernández S, González-Sampériz P, López-Merino L, Peña L, Burjachs F, López-Sáez JA, García-Antón M, Carrión Marco Y, Uzquiano P, Postigo JM, Barrón E, Allué E, Badal E, Dupré M, Fierro E, Munuera M, Rubiales JM, García Amorena I, Jiménez Moreno G, Gil Romera G, Leroy S, García-Martínez MS, Montoya E, Fletcher W, Yll E, Vieira M, Rodríguez-Ariza MO, Anderson S, Peñalba C, Gil García MJ, Pérez Sanz, A, Albert RM, Díez MJ, Morales-Molino C, Gómez Manzaneque F, Parra I, Ruiz Zapata B, Riera S, Zapata L, Ejarque A, Vegas T, Rull V, Scott L, Abel Schaad D, Andrade A, Manzano S, Navarro C, Pérez Díaz S, Moreno E, Hernández-Mateo L, Sánchez Baena JJ, Riquelme JA, Iglesias R, Franco F, Chaín C, Figueiral I, Grau E, Matos M, Jiménez Espejo F, Valle-Hernández M, Rivas-Carballo R, Arribas A, Garrido G, Muñiz F, Finlayson G, Finlayson C, Ruiz M, Pérez Jordá G, Miras Y. Paleoflora y Paleovegetación de la Península Ibérica e Islas Baleares: Plioceno-Cuaternario. Ministerio de Economía y Competitividad, Madrid. (2012). 6- Expedition 339 Scientists, (including Jimenez-Espejo, F.J.). Mediterranean outflow: environmental significance of the Mediterranean Outflow Water and its global implications. Integrated Ocean Drilling Program Preliminary Report, 339. doi:10.2204/iodp.pr.339.2012 (2012). - 2012-2014 . Cenozoic glacial evolution at the Wilkes Land Margin, Antarctica. Spanish Ministry for Economy and Competitiveness (Spain). Project Leader: Dr. Carlota Escutia Dotti. - 2010-2014. Barium and Carbon biogeochemical cycles: records for paleoproductivity and global change. Junta de Andalucía P09-RNM-5212. Project Leader: Dr. Francisca Martínez Ruiz. - 2010-2012. Variabilidad climática rápida durante el holoceno en el Mediterráneo occidental: respuestas climáticas globales y regionales (HOLOMED). MICINN CGL2009-07603 Project Leader: Dr. Francisca Martínez Ruiz. -2008-2011 Variabilidad Climática y productividad biológica marina: Paleoregistros como escenarios de cambio climático.Ministerio de Medio Ambiente y Medio Rural y Marino. Acción Estratégica Cambio Climático, MARM 200800050084447. Project Leader: Dr. Francisca Martínez Ruiz. - 2007-2012: Gradual and Abrupt Climate Changes, and their Impacts on the Environment (GRACCIE). Science and Technology Comission (CICYT-Spain). Project Leader: Dr. Joan Grimalt. -2007-2009: Integrated Multidisciplinary Approach for Abrupt Climate Changes in the Early Stage of Global Warming. Japan Society for Promotion of Science (JSPS-Japan). Project Leader: Dr. Tatsuhiko Sakamoto. - 2006-2009: Rapid climate changes in the Iberian Peninsula based on proxy calibration, long term instrumental series and high resolution analyses of marine records (MARCAL). Spanish Ministry of Science and Education, (Spain). Project Leader: Dr. Francisca Martínez Ruiz. - 2006-2009: Geochemical proxies for environmental reconstruction: implications for global change. Junta de Andalucía, Programa de Excelencia (Spain). 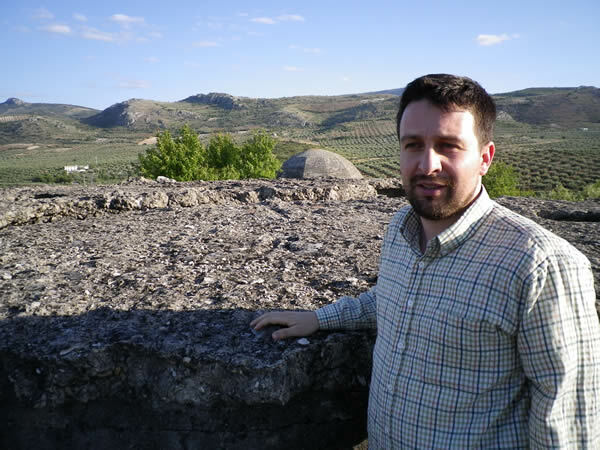 Project Leader: Dr. Miguel Ortega Huertas. - 2003-2006: Climate variability and impact in the Iberian Peninsula since the last glacial maximum; high resolution analysis of marine records and implications for present and future climate understanding. (CLIBER)”. Spanish Ministry of Science and Education, (Spain). Project Leader: Dr. Francisca Martinez Ruiz. - 2003-2006: ASSEMBLAGE, Assessment of the Black Sea sedimentary system since the last glacial extreme. European Union. EVK3-CT-2002-0090. Project Leader: Dr. Francisca Martinez Ruiz. - 2002-2003: Geochemical and biotic proxies of climate variability in Western Mediterranean during the last 20ky. (Spain). Project Leader: Dr. Francisca Martinez Ruiz. 1- Martínez-Ruiz, F., Jiménez-Espejo, F.J., Paytan, A., Bernasconi, S.M., González-Donoso, J.M., Linares, D. "Geochemical record of the S1 sapropel in the eastern and western Mediterranean implications for Holocene climate reconstruction"
CONFERENCE: 4th European ODP Forum. Tromso, Norway (2002). 2-Martínez-Ruiz, F., Paytan A., González-Donoso, J.M., Linares, D., Bernasconi, S.M., Jiménez-Espejo, F.J., Kastner, M."Geochemical and mineralogical evidence for sapropel deposition in eastern and western Mediterranean basins: paleoclimate implications and paleoceanographic reconstructions"
CONFERENCE: EGS-AGU-EUG (Joint Assembly of the European Geophysical Society, American Geophysical Union, and European Union of Geosciences). Niza, France (2003). 3- Jiménez-Espejo, F.J., Martínez-Ruiz, F., González-Donoso, J.M., Linares, D., Bernasconi, S.M. "Registro paleoclimático de los últimos 16.000 años en la cuenca del Mar de Alborán: indicadores geoquímicos y mineralógicos"
CONFERENCE: XXIII Sociedad Española de Mineralogía. El Puerto de Santa Maria, Spain (2003). 4- Jiménez-Espejo, F.J., Martínez-Ruiz, F., González-Donoso, J.M., Linares D., Bernasconi, S.M. "A Geochemical/Mineralogical Record of Climate Variability in the Westernmost Mediterranean during the Last 16,000 Years." CONFERENCE: American Geophysical Union, Fall Meeting,San Francisco (USA) (2003). Publication: EOS (Trans. American Geophysical Union), 84 (46) p.919. 5- F.J. Jiménez-Espejo, M. Martínez-Ruiz, T. Sakamoto, K. Iijima, D.
CONFERENCE: IV Geológico de Spain, Zaragoza, Spain (2004). 6- F.J. Jimenez-Espejo, F. Martinez-Ruiz, T. Sakamoto, K. Iijima, N. Harada, O.
and Eastern climate responses in the Mediterranean”. CONFERENCEEuropean Geoscience Union, General Assembly, Vienna, Austrich (2006). PUBLICATION: Geophysical Research Abstract, Vol. 8, 09450. F.J. Jimenez-Espejo, D. Gallego-Torres. “Climate variability and productivity response in the westernmost Mediterranean since the last deglaciation: high resolution record from ODP Site 976”. Publication: Geophysical Research Abstracts, Vol. 7, 06908.
data in historic time. European Science Foundation (MedCLIVAR). Carmona, Spain. (2006). 9- F.J. Jimenez-Espejo, F. Martinez-Ruiz, T. Sakamoto, K. Iijima, N. Harada, O. CONFERENCE: European Geoscience Union, General Assembly, Vienna, Austrich (2006). what do we still need to study/verify. Associaçao Portuguesa de Paleoceanografia-IMAGES/PAGES worshop. Peniche, Portugal (2007). CONFERENCE: 97th Annual Meeting and International Conference. Bremen, Germany (2007). Evolutionary Changes And Cultural Collapses.Murcia, Spain (2007). CONFERENCE: XXVIII y XXI Reunión de las Sociedades Españolas de Mineralogía y Arcillas (SEM-SEA). Zaragoza, Spain (2008). Publication: Macla nº 9, pag. 207-208, ISSN 1885-7264. 13- F. J. Jimenez-Espejo, C. Martin-Puertas, B. Valero-Garces, F. Martinez-Ruiz, T.
CONFERENCE: Japan Geoscience Union Meeting.Chiba, Japan (2008). Publication: EOS (Trans. American Geophysical Union), 89 (53) p.
CONFERENCE: International Conference and TTR-17th Post-Cruise Meeting, Granada, Spain (2009). CONFERENCE: International Conference and TTR-17th Post-Cruise Meeting. Granada, Spain (2009). 17-F.J. Jiménez-Espejo, F. Martinez-Ruiz, M. Rogerson, J. M. Gonzalez-Donoso, O. E. Romero, D. Linares, T. Sakamoto, D. Gallego-Torres, M. Rodrigo-Gámiz, V. Nieto-Moreno, M. Ortega-Huertas. “Paleoceanographic and paleoclimate conditions in the western Mediterranean during the last 20 kyr: new insights from a TTR core transect in the Alboran Sea basin”. CONFERENCE: International Conference and TTR-17th Post-Cruise Meeting.Granada, Spain (2009). CONFERENCE: International European Geoscience Union, General Assembly. Vienna, Austrich (2009). 20-C. Escutia Dotti, H., Brinkhuis, R. Dunbar, A. Klaus and Exp.318 Shipboard Scientific Party. “Unveiling climate and ice sheet history from drilling in high-latitude margins: IODP Expedition 318”. CONFERENCE: European Geophysical Union General Assembly. Oslo, Norway (2010). Publication: Geophysical Research Abstracts Vol. 12, EGU2010-12345. CONFERENCE: European Geophysical Union General Assembly .Oslo, Norway (2010). 22- S.A. Carr, F.J. Jimenez-Espejo, T. van de Flirdt, R. B. Dunbar, H. Brinkhuis, C. Escutia Dotti, Expedition 318 Scienctists, K. Mandernack. “Microbial communities and carbon cycling within deep sea marine sediments off Eastern Antarctica”. CONFERENCE: Goldschmidt Knoxville, Tennessee (USA) (2010). Publication: Goldschmidt Conference Abstract A144. 23- M. Iwai, K. Katsuki, T. Sakai, S. Sugisaki, M. Nakai, M. Yamane, F.J. Jimenez-Espejo, H. Brinkhuis, C. Escutia Dotti, A. Klaus, and Exp.318 Shipboard Scientific Party. TITULO: Cenozoic Antarctic Ice Sheet Evolution from Wilkes Land Margin Sediments: Initial results of IODP Exp.318. Publication: Goldschmidt Conference Abstract, A468. Publication: Goldschmidt Conference Abstract, A901. Publication: Rapp. Comm. int. Mer Médit., 39,pp 28. CONFERENCE: 39th CIESM Congress. Venice, Italy (2010). Publication: Rapp. Comm. int. Mer Médit., 39,pp 34. Publication: Rapp. Comm. int. Mer Médit., 39,pp 53. Publication: Rapp. Comm. int. Mer Médit., 39,pp 60. 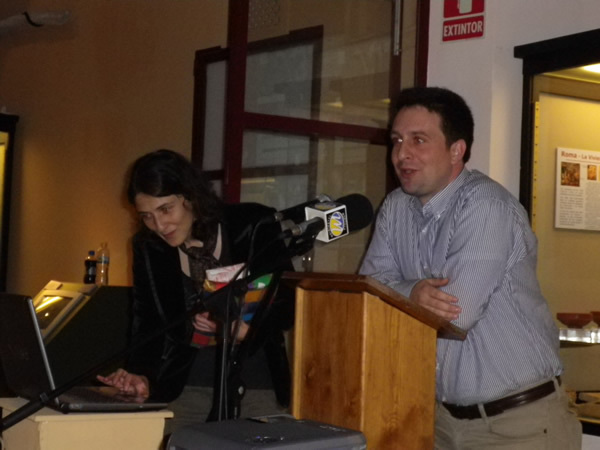 CONFERENCE: EGU General Assembly 2011. Vienna, Austria (2011). 33- J.J. Gonzalez, C. Escutia, H. Brinkhuis, A. Klaus, and the IODP Expedition 318 Scientific Party Team (including F.J. Jimenez-Espejo). “Linking IODP Expedition 318 Sites to Seismic Profiles: Implications for Depositional Paleoenvironments”. 37- Tina van de Flierdt, F.J. Jimenez-Espejo, C. Escutia, H. Brinkhuis, A. Klaus, and Expedition 318 Scientists. 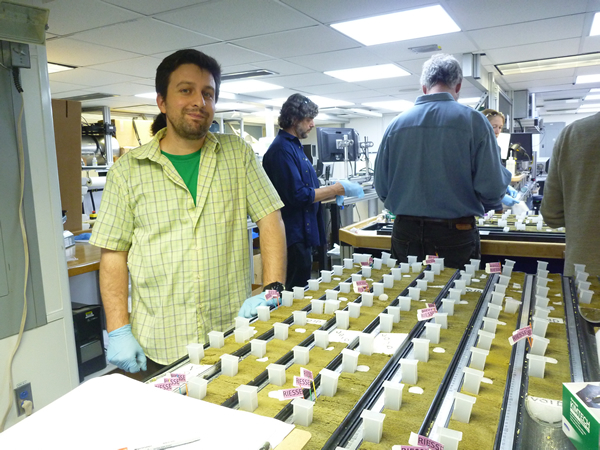 “Bulk sediment geochemistry as a tool in palaeoclimate studies; preliminary results from shipboard analyses of IODP Expedition 318”. CONFERENCE: 11th International Symposium on Antarctic Earth Sciences. Edinburgh, UK. July, 2011. Publication: Abstract Proceedings PO7.19, p. 358. 41- C. Escutia, H. Brinkhuis, A. Klaus, & Expedition 318 Scientists (including F.J. Jimenez-Espejo). CONFERENCE: Invited Speaker. 11th International Symposium on Antarctic Earth Sciences. . Edinburgh, UK. July, 2011. Publication: Abstract Proceedings PL15, p.21. 42- J. Gonzalez, C. Escutia, F.J. Jimenez‐Espejo, R. M. McKay, S. Passchier, T. van de Flierdt, L. Tauxe, T. Williams, H. Brinkhuis, the Expedition 318 Scientists. 43- T. Williams, C. Escutia, R. McKay, S. Passchier, T. van de Flierdt, L. Tauxe, F.J. Jimenez‐Espejo, J. González, U. Roehl, Expedition 318 Science Party. Publication: Abstract Proceedings PS13.8, p.178. 44- P. Stocchi, R.M. DeConto, C. Escutia, H. Brinkhuis, D. Pollard, B.L.L.A. Vermeersen, A.J.P. Houben, P.K. Bijl, Expedition 318 Scientists (including F.J. Jimenez-Espejo). 45- R. McKay, J. Bendle, G. Dunbar, R. Dunbar, J. Gonzalez, C. Escutia, F.J. Jiménez-Espejo, S. Passchier, L.Tauxe, K. Welsh, IODP Expedition 318 Scientists. Publication: Abstract Proceedings PS13.10, p. 180. 46- F. Sangiorgi, H. Brinkhuis, J. Bendle, S. Schouten, C. Escutia, Adam Klaus, and IODP Expedition 318 Science Party (including F.J. Jimenez-Espejo). 47- R. Dunbar, C. Riesselman, S. Pekar, K. Kryc, X. Crosta, E. Costa, J. Etourneau, F.J. Jimenez‐Espejo, C. Escutia, Expedition 318 Scientists. “Holocene Antarctic Climate Variability as Recorded in Long Sediment Cores from the East Antarctic Margin, including early results from IODP Expedition 318”. Publication: Abstract Proceedings PS7.1, p. 95. 48- P. Bijl, J. Bendle, L. Contreras, J. Pross, L. Tauxe, U. Roehl, S. Schouten, H. Brinkhuis, C. Escutia, Expedition 318 Scientific Party (including F.J. Jimenez-Espejo). “Integrated Eocene stratigraphy of the Wilkes Land Margin, Antarctica: Preliminary palynological and geochemical results from IODP Expedition 318”. 49- Sandra Passchier, Steven M. Bohaty, Rob McKay, Expedition 318 Scientists (including F.J. Jimenez-Espejo). Publication: Abstract Proceedings PO13.9, p. 445. 50- Passchier S., Williams T., Van de Flierdt T., Jimenez‐Espejo F., Gonzalez J., Tauxe L., Escutia C., Brinkhuis H., Klaus A., Expedition 318 Scientists. 51- Tina van de Flierdt, Sang‐eun Kim, Carys Cook, Sidney Hemming, Trevor Williams, Elizabeth Pierce, Sandra Passchier, Steven Bohaty, Ursula Röhl, Expedition 318 Science Party (including F.J. Jimenez-Espejo). 52- Elizabeth L. Pierce, Tina van de Flierdt, Sidney R. Hemming, Trevor Williams, Carys C. Cook, The Expedition 318 Science Party (including F.J. Jimenez-Espejo). CONFERENCE: 11th International Symposium on Antarctic Earth Sciences. 53- A.J.P. Houben, P.K. Bijl, H. Brinkhuis, J. Bendle, J. Pross, C.E. Stickley, M. Olney, U. Röhl, L. Tauxe, Expedition 318 Scientists (including F.J. Jimenez-Espejo). 55- Cook, C., Van de Flierdt, T., Williams, T., Hemming, S., Pierce, E., Gonzales, J., Passchier, S., McKay, R., IODP Expedition 318 Scientists (including Jimenez-Espejo, F.J.). 56- Orejola, N., Passchier, S., Escutia, C. Brinkhuis, H., Klaus, A., IODP Expedition 318 Scientific Party (including Jimenez-Espejo, F.J.). 57- Bohaty, S.M., Tina van de Flierdt, C.M. Jhon, M. Gill, S. Passchier, F.J. Jimenez-Espejo, Carlota Escutia, Henk Brinkhuis and The Expedition 318 Science Party. Publication: Abstract Proceedings PO13.8, p. 444. 58- Rodrigo-Gamiz M., F. Martinez-Ruiz, F. Rodriguez-Tovar, F.J. Jimenez-Espejo, E. Pardo-Iguzquiza. CONFERENCE: RCMNS-RCANS Interim Colloquium. Salamanca, Spain. September, 2011. 59- Jimenez-Espejo, F.J., A. Garcia-Alix, F. Martinez-Ruiz, A. Delgado-Huertas, M. Rodrigo-Gamiz, G. Jimenez-Moreno, R.S. Anderson. CONFERENCE: RCMNS-RCANS Interim Colloquium. Salamanca, Spain. September, 2011. Publication: Abstracts Book p.142. 60- Passchier, S., Bohaty, S.M., Henao, V., Jiménez, F.J., Flierdt, T., Tauxe, T..
61- Roehl, U., Bijl, P., Jimenez-Espejo, F.J., Pross, J., Contreras, L., Tauxe, L., Bohaty, S.M., Bendle, J., Brinkhuis, H. and IODP Exp. 318 Scientist. CONFERENCE: American Geophysical Union-Fall Meeting. San Francisco, USA. December 2011. 62- A. Vizcaino, R. Dunbar, F.J. Jimenez-Espejo, D. Wahl, D. Mucciarone, T. Guilderson, C. Moy. CONFERENCE: Ocean Sciences Meeting ASLO-AGU-OS 2012. Salt Lake City, Utah, USA, Feb. 2012. Publication: Conference Abstracts B08020, Id. 12734. 63- J. Kuroda, S. Furota, F.J. Jimenez-Espejo, F. Nanayama, N. Nishida, Y. Takashimizu, F. Javier Hernández-Molina, D. Stow, C. Alvarez-Zarikian and Expedition IODP 339 Scientists. CONFERENCE: Japan Geoscience Union. Makuhari, Chiba, Japan (2012). 64- F.J. Jimenez-Espejo, J. Etourneau, R. Dunbar, V. Willmott, C. Escutia, T. van De Flierdt, X. Crosta, G. Massé and Expedition 318 Scientists. “The early Holocene deglaciation of the East Antarctic margin (∼11.5 ka–8.0 ka cal BP): a high resolution geochemical study from Site U1357 (Adélie Land). CONFERENCE: 34th International Geological Congress. Brisbanne, Australia. August, 2012. Publication: Abstracts Book, p. 356. “Tracing early Cenozoic climate and environments using palynological assemblages and molecular fossils from the Wilkes Land margin, Antarctica (IODP Expedition 318)”. 67- C. Sloss, F.J. Hernández-Molina, D. Stow, C. Alvarez-Zarikian, L. Petherick and Expedition IODP 339 Scientists (including F.J. Jimenez-Espejo). 68- D. Stow, F.J. Hernández-Molina, C. Alvarez-Zarikian and Expedition IODP 339 Scientists (including F.J. Jimenez-Espejo). “Ice sheet dynamics and palaeoceanography along the Wilkes Land Margin during the Middle Pleistocene”. 70- T. Williams, C. Escutia, R. McKay, S. Passchier, T. Van De Flierdt, L. Tauxe, F.J. Jimenez-Espejo and J. Jairo González. 71- F.J. Jimenez-Espejo, A. García-Alix, G. Jimenez Moreno, F. Martínez-Ruiz, R.S. Anderson, F.J. Rodríguez-Tovar, A. Delgado-Huertas, M. Rodrigo-Gamiz and E. Pardo-Iguzquiza. 72- Takashimizu, Y., Hernández-Molina, F.J., Stow, D.A.V., Alvarez-Zarikian, C., Furota, S., Jimenez-Espejo, F.J., Kuroda, J., Nanayama, F., Nishida, N., and IODP Exp. 339 Scientists. “Onset, evolution and effects of the Mediterranean Outflow: Preliminary Results of IODP Expedition 339 in the Gulf of Cadiz” Oral presentation. CONFERENCE: 119th Annual Meeting of the Geological Society of Japan. Geological Society of Japan, Osaka, Japan, Sept. 2012. 73- Martínez-Ruiz F., Rodrigo-Gámiz M., Nieto-Moreno V., Jiménez-Espejo F.J., Gallego-Torres D.
CONFERENCE: Macaronesian Palaeoclimate Workshop, Univ. de la Laguna. Tenerife, Oct. 2012 Spain. 74- Nishida, N., Hernández-Molina, F.J., Stow, D.A.V., Alvarez-Zarikian, C., Furota, S., Jimenez-Espejo, F.J., Kuroda, J., Nanayama, F., Takashimizu, Y., and IODP Exp. 339 Scientists. 75- J. Kuroda, S. Furota, F.J. Jimenez-Espejo, F. Nanayama, N. Nishida, Y. Takashimizu, F. Javier Hernández-Molina, D. Stow, C. Alvarez-Zarikian and Expedition IODP 339 Scientists. “Onset, evolution and effects of the Mediterranean Outflow: An overview of IODP Expedition 339” CONFERENCE: Japan Geoscience Union. Makuhari, Chiba, Japan (2012). Publication: Conference Abstracts MIS27-09. CONFERENCE: 3rd Symposium on Polar Science. National Institute of Polar Research (NIRP), Tokyo, Japan. 26-30 Nov. 2012. 77- S. Sugisaki, L. Tauxe, M. Iwai,T. van de Flierdt, C.P. Cook , F.J. Jimenez-Espejo, S. Passchier, U. Röhl, J. Gonzalez , C. Escutia. 78- R.B. Dunbar, F.J. Jimenez-Espejo*, R. McKay, S. Pekar, J. Bendle, V. Wilmott, L. Tauxe, B.K. Khim, J. Kim, J. Etourneau, X. Crosta, G. Masse, J. Pike, T. Gregory, U. Morgenstern, M. Yamane, N. Ohkouchi, Y. Yokoyama, C. Escutia, H. Brinkhuis, and the Exp318 party. CONFERENCE: 3rd Symposium on Polar Science. National Institute of Polar Research (NIRP), Tokyo, Japan. 26-30 Nov. 2012. *Keynote Speaker. 79- A. Bahr, F. Jimenez-Espejo, N. Kolasinac, S. Auschill, U. Röhl, J. Hernández-Molina, D.A.V. Stow, D. Hodell, C. Alvarez-Zarikian, and IODP Expedition 339 Scientists. CONFERENCE: Dialogue Between Contourite & Oceanography Processes, International Workshop. University of Hull, UK. January, 2013. 80- M. Pardos-Gené, F. Martínez-Ruiz, F.J. Jimenez-Espejo, T. vandeFlierdt, A. Paytan. CONFERENCE: Holocene Climate Change, The Geologiacal Society, London, Abstract book 10-11. 4-5 April 2013. 81- M. Pardos-Gené, F. Martı́nez-Ruiz, , F.J. Jiménez-Espejo, T. van de Flierdt, A. Paytan. CONFERENCE: International Paleoceanography Conference, Sitges, Spain. Sept., 2013. 82- F.J. Jiménez-Espejo, P. Grunert, B. Martrat, D. Hodell, F. Martinez-Ruiz, Y. Asahara, F.J. Rodriguez-Tovar, T. van de Flierdt, J.O. Grimalt, J. Hernández-Molina, D.A.V. Stow, C. Alvarez-Zarikian, IODP Exp. 339 Scientists. 83- U. Röhl, P. K. Bijl, S.M. Bohaty, F.J. Jiménez-Espejo, J. Pross, L. Tauxe, H. Brinkhuis and IODP Expedition 318 Scientists. 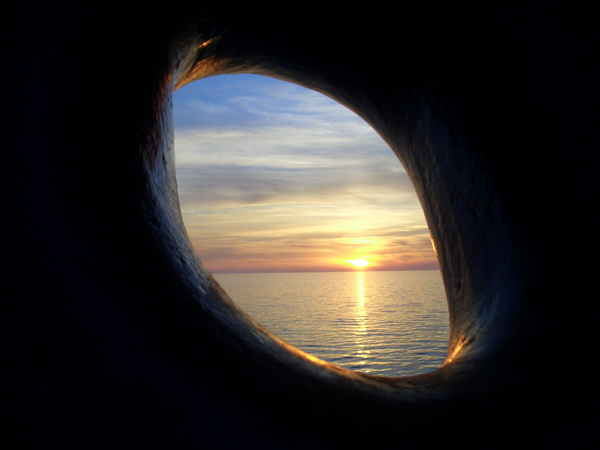 I am deeply involved in the Integrated Ocean Drilling Program (IODP) http://www.iodp.org/. I studied samples from the ODP Leg 161 Site 975 (Algero-Balearic region) and 976 (Alboran Sea), sampled at the IODP Core Repository (Bremen, Germany) during my Ph. D thesis. I attended the Expert in Marine Core School (2008, Japan) held in the IODP Core Repository (Kochi, Japan). I participate, as inorganic chemist (Japanese team member), at the Expedition 318 IODP, Wilkes Land, East Antarctica Margin (6 January-12 March 2010). I participate, as Physical Properties Specialist (Japanese team member), at the Expedition 339 IODP, Mediterranean Outlflow. 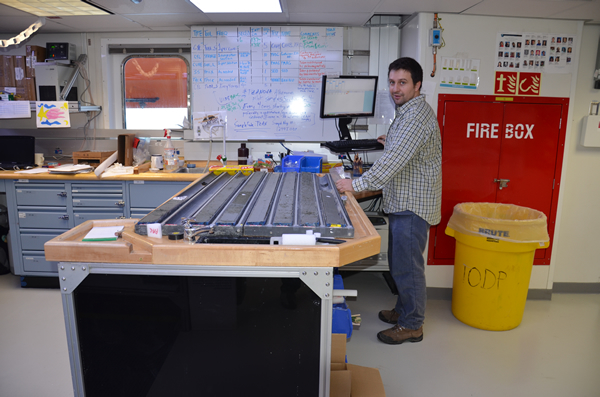 Present day I am involved in different studies base in materials recovered during this IODP expeditions. I am also member for an “IODP flagship proposal” for Drilling the Messinien Mediterranean Salt deposits using R/V Chikyu, CHIKYU+10 meeting (GOLD-Project and DREAM-Project). I reviewed publications in the following journals: Quaternary Science Reviews, Quaternary Research, Central European Journal of Geosciences (CEJG) and Turkish Journal of Earth Sciences. I evaluate projects for the Swiss National Science Foundation during 2010-2011 and 2011- 2012. - 2003-2007. Ph. D. Student. University of Granada (National Public University. Univerisity of Granada, Faculty of Sciences. Address: Avda. Fuentenueva, s/n, Granada,18002, Spain. Topic: "Climatic variability in the western Mediterranean during the last 20,000 year and impact in cultural human evolution". Address: Instituto Andaluz de Ciencias de la Tierra (IACT-CSIC). - 2001-2003. Master Course Student. University of Granada (National Public University). Univerisity of Granada, Faculty of Sciences. Address: Avda. Fuentenueva, s/n, Granada,18002, Spain. - 1995-2000. Bachelor Student. University of Granada (National Public University). Bachelor-5 yrs graduation) in Geology. Univerisity of Granada, Faculty of Sciences. - 1991-1995. High School: I.E.S Inca Garcilaso (Public School). Address: Avda. de la Constitución s/n. 14550 Montilla (Spain). - 1988-1991. Junior High School: C.P. San Francisco Solano (Public School). Address: C/ Giner de los Ríos n. 4. 14550 Montilla (Córdoba), Spain. - 1982-1988. Primary School: C.P. San Francisco Solano (Public School).